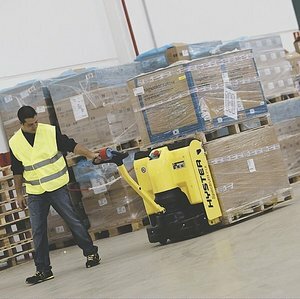 One of the most manoeuvrable pedestrian pallet truck series on the market, designed to increase your turnaround whilst saving you money. You get a performing, energy efficient, indoor pallet transportation solution, over long and short distances, or for vehicle loading/unloading. NEW AC Motors on P1.8-2.2 models, provide powerful, energy efficient performance and low maintenance with 1000 hour service intervals. Latest P1.3 model is the ergonomic solution for less intensive applications. 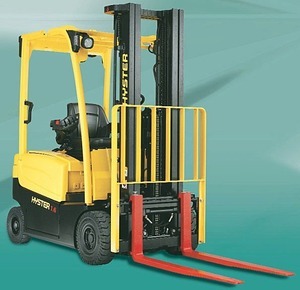 Each of these stacker models offers power, precision and reliability for a variety of demanding operations. 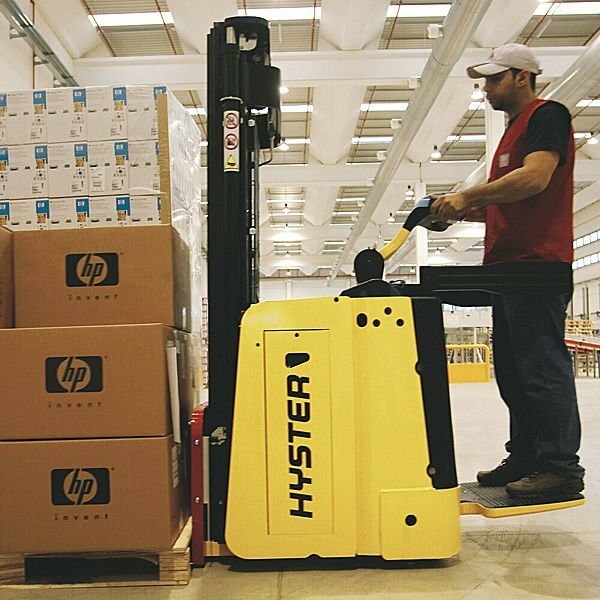 Combining the manoeuvrability of a pedestrian stacker with the travel speed of a ride-on pallet truck, they are ideal for placing goods into low to mid high level racking, short or long distance transfers, or ramp operation. These trucks also take care of operator safety and productivity with high visibility masts, dual lift and lower controls, low effort power steering and speed reduction on cornering. 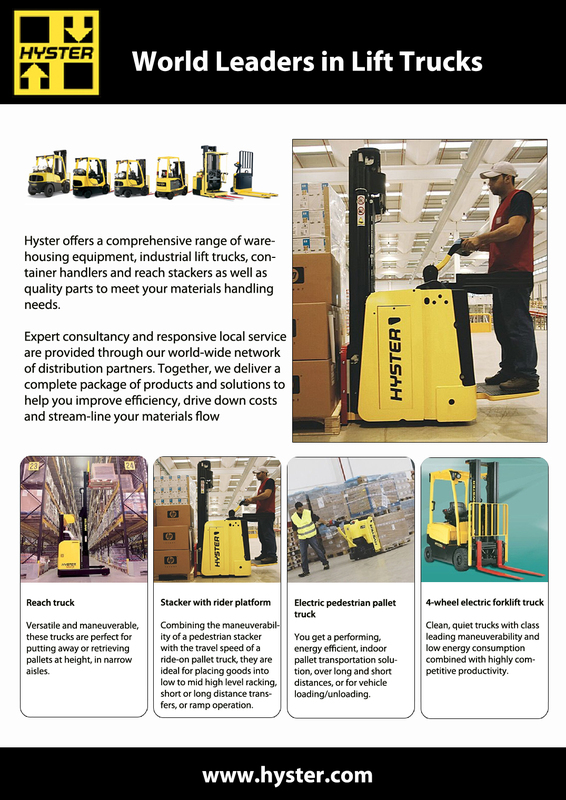 The Hyster Matrix reach truck contributes to the best warehouse space utilisation and warehouse throughput. 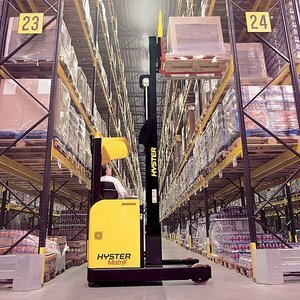 Versatile and manoeuvrable, these trucks are perfect for putting away or retrieving pallets at height, in narrow aisles. Powerful AC technology on traction, pump and steer motor delivers superior performance and fast turnaround. The ergonomically designed, raised operator position and advanced mast design maximise visibility when load handling, contributing to faster cycle times and superb operator productivity. Clean, quiet trucks with class leading manoeuvrability and low energy consumption combined with highly competitive productivity. Superb acceleration, travel and lifting performance, with the manoeuverability of a three wheel truck for increased throughput and the best space utilization.